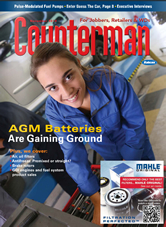 Continental Commercial Vehicles & Aftermarket has ramped up its coverage of European vehicles with its ATE Original brake pads and ATE Single Pack rotors. ATE Original brake pads deliver 88 percent coverage for European vehicles. Featuring leading brake technology, ATE Original Brake Pads are formulated to original-equipment friction specifications and built and tested to meet or exceed the manufacturer’s standards, according to Continental. 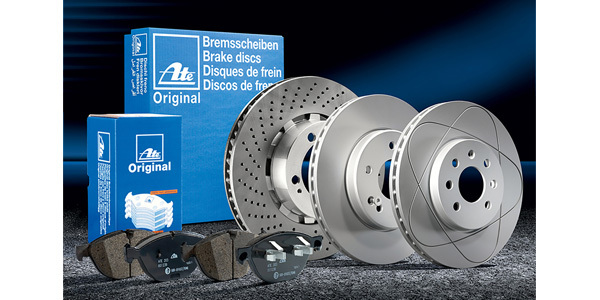 ATE Original brake pads provide coverage for European vehicles including Alfa Romeo, Audi, BMW, Jaguar, Land Rover, Mercedes-Benz, MINI, Porsche, Range Rover, Renault, Saab, smart, Volkswagen and Volvo. ATE Single Pack rotors also offer extensive European coverage and are engineered to deliver exceptional braking performance with ultra-low noise and vibration, according to the company. They feature material that matches the OE part as well as corrosion-protection coating. ATE Single Pack rotors are high-temperature resistant and have full-axle European coverage, according to Continental. ATE is an aftermarket brand of Continental Corp. For more information, visit www.ate-na.com or contact [email protected].